Governor Jay Inslee has signed a bill which aimed at countering FCC Chairman Ajit Pai and re-establishing net neutrality rules in the state of Washington. 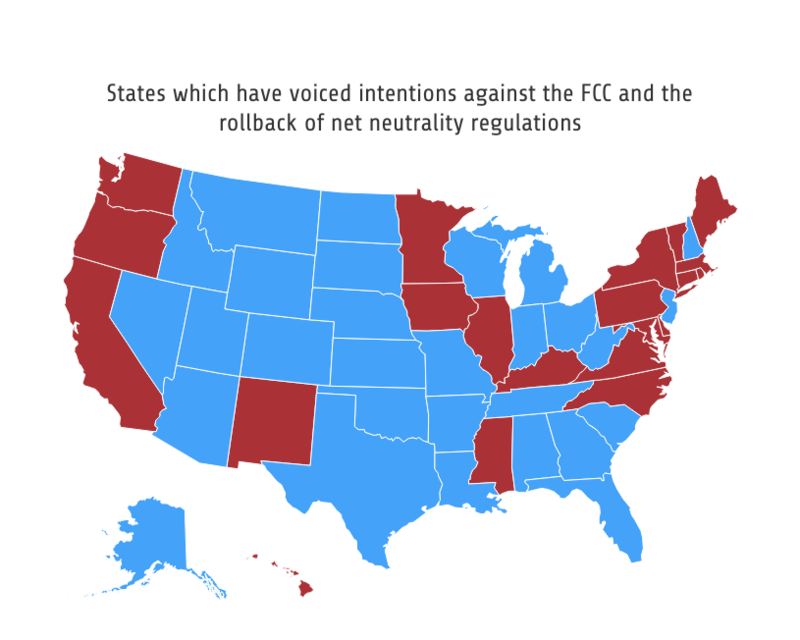 The new law, House Bill 2282, will come into effect on June 6 and makes Washington the first state to defy Pai and the FCC in maintaining open internet freedoms. Over the next couple of weeks and months it would not be unusual to expect several other states to follow suit, though whether this law is able to legally stand remains to be seen. Contrary to the hands-off regulation stance of the FCC, the new law in Washington will prevent any telco from impairing (throttling) or favouring (fast-lanes) internet traffic based on the content internet users consume, or the apps, services and devices they use. In short, the telcos will not be able to create a pay-to-play environment for customer experience. Supporters have argued this is not only an issue which supports consumer rights, but also maintains a level playing field for small businesses which would not be able to compete with the financial might of big business. On the other side of the coin, those who are anti-net neutrality has said telcos should be allowed to generate ROI on the billions which they have spent deploying networks throughout the US. The OTTs rarely contribute to such exercises, but are the ones who collect the biggest financial rewards from the digital economy, leaving crumbs for the telcos. Just look at how profitable companies like Facebook, Google and Amazon have become at the expense of the telcos over the last decade. There are arguments on both sides of the fence but we wonder whether over-regulating the industry is the best way to approach the problem. One thing is clear however, the relationship between the telcos and the OTTs is broken. If the OTTs continue to bite the hand that feed them, the telcos will have less CAPEX to spend on the networks which will only cause long-term problems for the OTTs who rely on excellent customers experience. It is a complicated situation and we suspect that neither side has the right answer for the moment. While many will applaud Inslee’s actions, the issue remains as to whether he and his compatriots have the legal foundations to make such moves. Written into the Communications Act is a clause which prevents states from passing legislation which contradicts the FCC standing or legislation, unless internet traffic stays explicitly in the state. As there are very few occasions where this is applicable, the Communications Act is not on the side of Inslee. Such actions might simply be a PR stunt, which would surprise few considering the celebrity-style pitches of US politicians, but enough momentum could see a challenge to the Communications Act. If the new law in Washington is struck down because of the clause in the Communications Act, it would not be completely out of the question to expect a legal challenge to the Communications Act itself which would cause all sorts of issues. Inslee has dropped a pebble in the pond for the moment, but the ripples could become waves in the coming months. Of course, Inslee is not alone in his stance against the FCC and its attempts to resign net neutrality to the footnotes. Scott Weiner from the California State Senate is attempting to introduce a local law as well, while Brad Hoylman of New York’s State Senate has been kicking up a fuss for months. In total, more than 20 states are taking some sort of action against the new stance. You can also expect some noise from advocacy groups such as the Electronic Frontier Foundation and the technology companies. This week has seen a petition filed by several tech companies including Etsy, Foursquare and Kickstarter challenging the rollback of the rules. That said, the FCC will have its own support. The financial might of the US telcos will be lobbying hard to keep the rules resigned to the history books, and despite the support of some politicians there will of course be an army of Republicans mustered to defend the new position. This saga is far from over. Washington state has no personal income tax, its budget primarily comes from gross receipts taxes on Amazon and Microsoft. So it’s no surprise that its legislature is captured by these two firms, owners of large, private content delivery networks that provide them with fast lanes to ISPs.